Before Petersfield Museum opened, Petersfield was one of the few towns in Hampshire without a museum. It was in 1990 that Wilf Burnham, chairman of the Petersfield Area Historical Society, decided “we are going to have a museum”. Petersfield Museum Trust was formed in 1994 to promote the idea of a museum with several of the trustees coming from the Historical Society. They were delighted when, on the 28 June 1998, they took over the recently vacated courthouse building for use as a museum, which opened for just one and a half days a week and was run entirely by volunteers. At this time, the Society’s collection of objects and artefacts was transferred and formed the core of the new museum. Over the years members of the society have as a group or individuals written many of the history books on Petersfield’s rich history. 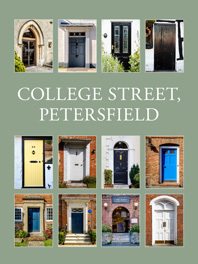 We are therefore delighted that several of our members have, for the past three years, taken part as members of Petersfield U3A local history group in the research and production of a new book on College Street. This excellent publication is published by the Petersfield Museum at £12.50 and available from the Museum and independent books shops in the town. With 65 people in attendance, the first speaker was George Anelay, a professional archaeologist and Project Director of the Petersfield Museum’s project People of the Heath. George focused on “Understanding and conserving Petersfield’s pre-historic barrows” with particular reference to the current four-year excavations and the up-to-date finds and theories. The next two sessions were taken by Society members Bill Gosney and Nick Swan who spoke firstly on ”Petersfield from the Norman invasion to the Civil War” and then on “The Transport Revolution and the Growth of Petersfield”. It is planned to follow up the conference in the summer of 2016 with a visit and two walks around Petersfield featuring “The General History of the Town” and “Petersfield in World War One”. We look forward to meeting with them again.